Alprazolam (Xanax), Diazepam (Valium), and Clonazepam (Klonopin) are medications which are frequently prescribed for anxiety disorder, panic attacks, and in the case of Valium and Klonopin, seizures and/or muscle spasms as well. While these medications can be effective when used properly, they are often taken recreationally which can lead to dangerous situations for users, and major penalties for those who possess and/or illegally distribute these controlled substances. If you or a loved one has been charged with Xanax, Valium, or Klonopin distribution, you may be facing up to 10 years in state prison. The criminal defense attorneys of Chamlin, Rosen, Uliano & Witherington are led by a dual New Jersey Supreme Court Certified Civil and Criminal Trial Attorney, a distinction earned by only 43 attorneys in the state. 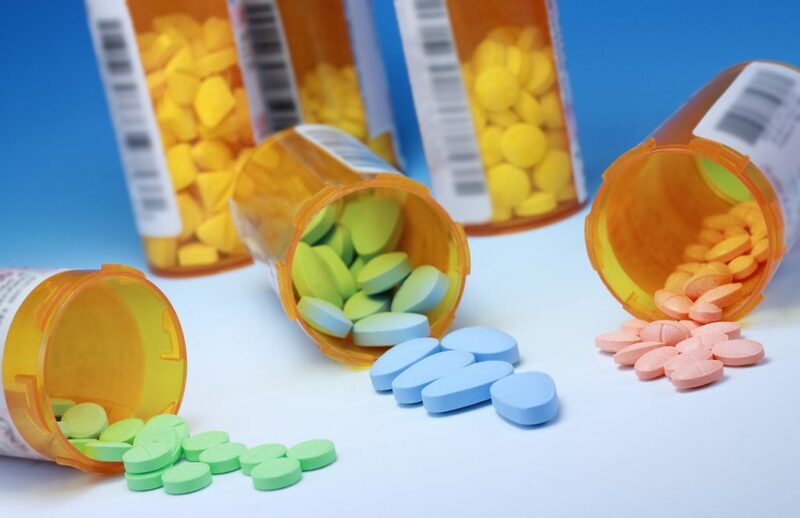 We have decades of experience assisting those charged with possession with intent to distribute prescription drugs in local New Jersey towns including West Long Branch, Red Bank, Freehold, Asbury Park, Eatontown, Wall,w and the greater Monmouth County area. When facing such serious charges, do not leave your fate to chance. Call our office today for a free and confidential consultation regarding your possession and/or distribution charges related to Xanax, Valium, Klonopin, or any other prescription drugs. Disorderly persons charges for possession with intent to distribute four (4) or fewer doses of Xanax, Valium, or Klonopin with no financial gain. Penalties include up to six (6) months in county jail and maximum fines of $1,000. Fourth degree felony charges for distribution of Xanax, Valium, or Klonopin in an the amount of four (4) or fewer doses where money changes hands. Penalties include county jail sentences up to 18 months and fines ranging up to $10,000. Third degree felony charges for possession with intent to distribute Xanax, Valium, or Klonopin in an amount between five (5) and 99 doses. Resulting penalties for conviction may include up to five (5) years in state prison and fines of $200,000. Second degree felony charges for distribution of prescription drugs including Xanax, Valium, or Klonopin will result from distributing 100 or more doses for financial gain. Maximum sentences include 10 years in state prison and fines up to $300,000. Second degree convictions also come with a presumption of incarceration, meaning first time offenders will not be granted leniency. At The Law Office of Chamlin, Rosen, Uliano & Witherington, we believe in protecting the legal freedoms of our clients when facing such serious criminal charges. We will examine the details of your individual case and seek to have charges reduced or even dismissed as we have done for decades in our local New Jersey communities such as Eatontown, Red Bank, Ocean County, Long Branch, Ocean, Freehold, West Long Branch, Wall, and all of Monmouth County. Lean on our extensive experience and intimate knowledge of the New Jersey criminal courts to advocate for your legal rights. If you or a loved one is facing criminal charges for distribution of prescription drugs including Valium, Klonopin, or Xanax, contact us online or give us a call through our West Long Branch offices by dialing (732) 440-3950 today for a free and confidential consultation. We will be standing by to discuss your unique situation and how we may be able to best serve you.